Some "safety comes first" coaches postponed games at the sound of approaching thunder . Others insisted that kids remain on a baseball diamond while lightning flashed nearby . Some developed every player by giving them equal playing time . Some were content to have a couple of players sitting on the bench except for a couple of innings a game or denied them the chance to play the "fun" positions . Some had training in the sport they were coaching while some didn't even know all the rules or equipment requirements. 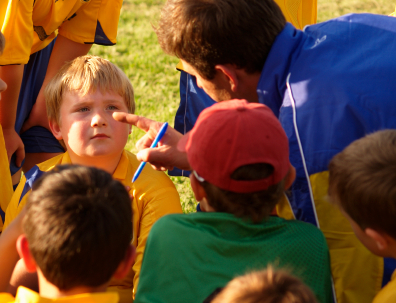 The coach Is sociable, empathetic and has good communication skills . Brooke de Lench is Executive Director of MomsTEAM Institute, Founder and Publisher of MomsTeam.com, blogger and author of Home Team Advantage: The Critical Role of Mothers in Youth Sports (HarperCollins), and the Producer/Director/Creator of the new PBS concussion documentary, "The Smartest Team: Making High School Football Safer." For a full biography, click here . Follow Brooke on Twitter @BrookedeLench. Did you know? Because MomsTEAM is free to users, it relies primarily on donations to MomsTEAM Institute, Inc., a Massachusetts 501(c)(3) non-profit, to fund its operations. If you found this article or the MomsTEAM site helpful, please consider making a contribution to the Institute by clicking here . Thanks!